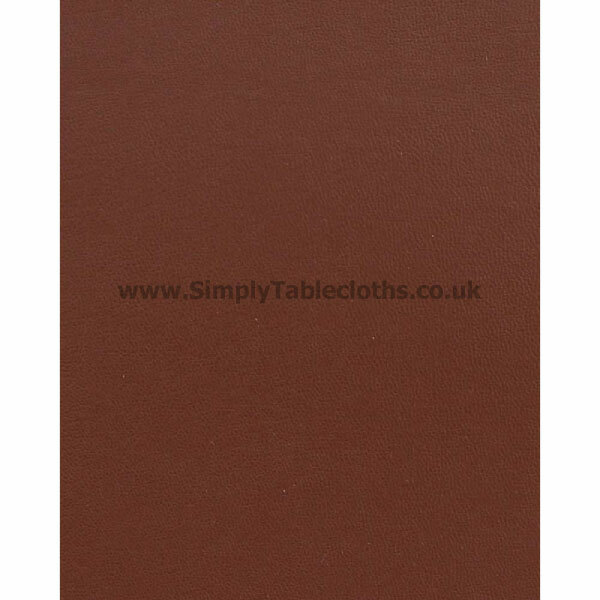 Protect your rectangle table top with our brown table felt protector. The padded underside is a white needled felt, while the top is a 1mm thick brown vinyl, with a slight leatherette appearance. This protector can be cut down with a strong pair of scissors if needed. 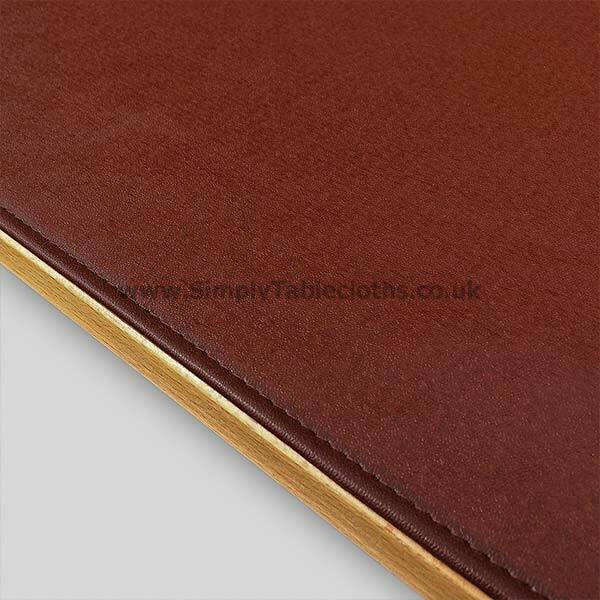 Add optional edge binding to enhance the appearance of your table felt and hide the white edges. Total approximate thickness is 3 to 4mm. Maximum width is 138cm. Need a custom size? Just order the next size up. Tell us what size you need it cut down to in the notes field upon checkout. Not what you’re looking for? Check out other rectangle table protectors here. Enhance the look of your table felt by opting for edge bound edges, as seen in the image. This hides the cut edge and gives it a neat finish. All table felt orders are sent on a tube and bubbled wrapped as standard. Storage tube is an upgrade to an extra large tube to place your protector inside with capped ends for extra protection. Heat protection: up to 100c. Face: Brown vinyl with a slight leatherette effect. Available with option edge binding for enhanced neater look.